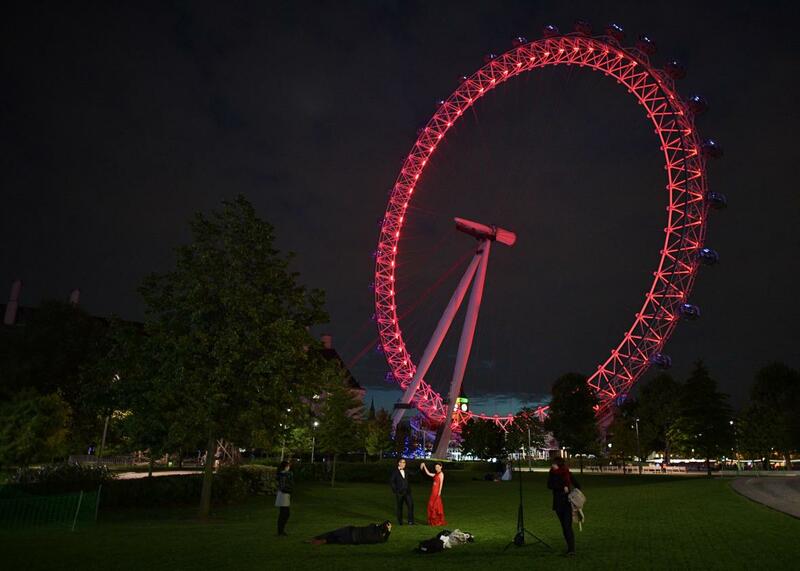 Everyone seems to agree that London is the world’s best city, but for whom? Nice city if you can afford it. The London press is puffing its chest this week over the news that their town has been “voted the best city in the world for quality of life,” as a Daily Mail headline put it, based on a PricewaterhouseCoopers study. The coverage that follows such reports seems designed to plumb the same rich Facebook vein of tribal allegiance as a vintage BuzzFeed listicle. But the PWC study, “Empowering City Brands,” is part of a two-part series that reveals something important about urban development today. Obviously this audience would not care much for local issues like the minimum wage, evictions, or education. The feeling is mutual. Who the hell cares what the crowd in the Emirates airport lounge thinks about Hong Kong or Stockholm? And yet: Like it or not, what “global consumers” think of your hometown can drive local politics forward in interesting ways. This is ostensibly the point of the project: The city is a brand. “It’s easy to see that building a narrative that elevates a city’s positive attributes can be greatly beneficial,” the report states. “Always stay true to your brand’s core equity.” It’s supposed to provide a contrast with a PWC report from last month, “Cities of Opportunity,” that purported to be a more objective study of how cities differ from each other. 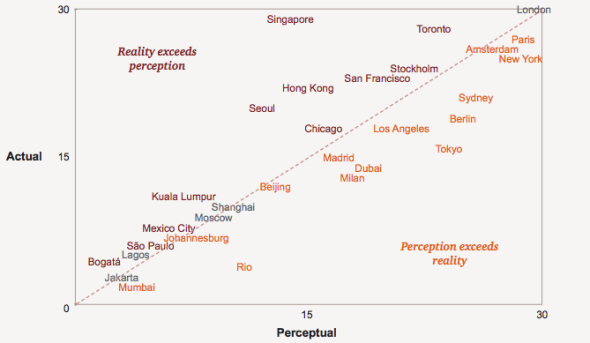 But the truth is that in most cities, PWC’s studies of perception and reality line up pretty neatly. I’d posit that this isn’t because global elites nailed it. It’s because the way PWC chooses to analyze life on the ground is basically the same way that a random sample of global decision-makers would have done it. And if PWC wants to make their objective reports more illuminating, they might try to figure out why the two rankings run so close together. Here’s an example. The report notes that New York is perceived as a city with “strong infrastructure,” but in reality it lags behind its international peers. But the signs that PWC cites that New York is fixing this in reality—such as the deployment of LINK NYC, the on-street advertising kiosks that had their internet functionality disabled after homeless people started using them, or the development of Hudson Yards, the super-luxe real estate development centered around a $200 million Thomas Heatherwick sculpture—are actually signs that New York is improving perception, not reality. (This report is a good example: That PWC calls one additional subway stop a “significant expansion of the subway system” is laughable.) Improving the reality of transportation and infrastructure might involve, say, stanching the bleeding on the city’s troubled bus network. How the world’s frequent fliers rank cities, in short, is closely aligned with PWC’s objective study of the concept. So next time you read that a consultancy has ranked San Francisco the globe’s eight-ranked “city of opportunity,” ask: for whom?